Come to the Atlanta REIA Main Meeting on March 7th at the W Hotel Atlanta Perimeter for a SNEAK PREVIEW to find out how the iPad gives you a HUGE competitive advantage and all the confidence you need in your real estate investing business. 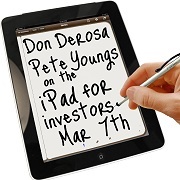 See Don DeRosa and Pete Youngs show you how the iPad will totally change the way you do business…saving you countless hours of time, and giving you access to everything you need to run your real estate investing business, wherever you are. Are you aware of how the new Mortgage Assistance Relief Services (MARS) rule is influencing your business operations? If not, you need to found out now! In November 2010, the FTC (Federal Trade Commission) published the final Mortgage Assistance Relief Services final rule. This rule took full effect on January 31, 2011. Whether you are a Realtor, Investor, Mortgage Broker, Seller… you need to know your rights and your obligations! This is “MUST KNOW NOW” information that will be covered on the Real Estate Junkie Webcast on Tuesday, March 8th at 7:00 PM ET. Register for the Webcast Now! The East Point Subgroup takes place on the 2nd Tuesday of each month from 7:00 PM to 9:00 PM at Giovanna’s Italian Kitchen located at 1375 Virginia Ave in East Point, GA. The meetings will cover many areas of real estate investing and offers many opportunities of participation by all attendees. Atlanta REIA members can guest can attend at no charge. The Creative Financing Group (CFG) is a new Atlanta REIA educational and networking subgroup led by Mark Durham that is designed to teach real estate investors Creative Financing Strategies for buying, selling and leasing real estate. The group will cover Creative Financing Strategies such as Owner Financing, Subject-To, Lease Options, Lease Purchase, Partnerships, Self-Directed IRA’s and much more! The group meets on the 2nd Wednesday of each month from 6:30 PM to 9:00 PM at Champps Americana located at 7955 North Point Parkway in Alpharetta, GA. Atlanta REIA Members can attend at no charge and guests for $5.00. This meeting is a weekly investor’s brainstorming and deal making jam session hosted by Joe Thompson and held at 5 Seasons Brewing located at 5600 Roswell Rd (map) inside the Perimeter at the “Prado” in Sandy Springs from 1:30 PM till approximately 3:00 PM. This group is all about doing deals and making money right now. The Small Business Group is a new educational subgroup, hosted by Karen Bershad, that is designed to help real estate entrepreneurs and other small business owners run their business more efficiently and profitably. The group meets on the 2nd Thursday of each month from 3:30 PM to 5:30 PM at the 5 Seasons Brewing at the “Prado” located at 5600 Roswell Rd in Sandy Springs, GA inside the Perimeter. On March 10th, we will cover developing systems and a specialized filing systems for REI’s and time management. Having systems in place is directly related to time management. 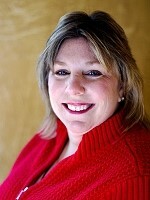 Come join us on Thursday, March 10that 6:30 PM at the Atlanta REIA South Monthly Meeting at Ryan’s Restaurant located at 5425 North Henry Blvd in Stockbridge, GA (Map) where Leslie Mathis will take you step-by-step through what you can expect, and more importantly, what you need to know, to successfully buy REO Properties at these ballroom auctions. She will even cover a couple of strategies that will allow you to make quick cash without long-term ownership, simply by putting these properties under contract, then finding investor-buyers for them. Get paid thousands of dollars in just 30 to 45 days! Cashflow Game Night is a meetup where individuals can learn to take control of their financial future by playing Robert Kiyosaki’s educational Cashflow 101 and Cashflow 202 board games. The Cashflow Players Group meets again on Sunday, March 13th at 6:30 PM at the Cherokee Cattle Company located at 2710 Canton Road in Marietta, GA (map). Atlanta REIA Members play for FREE. Come eat, drink, play and network with us! this boot camp is a MUST ATTEND event. Register Now! Join Jay Conner & Ron LeGrand in Atlanta on March 19th for the “Where to Get the Money Now Conference” sponsored by Atlanta REIA. The early bird special for this training event is only $75 for Atlanta REIA Members and $25 for their guests until March 11th. That’s right, for only $75 Jay will teach you the secrets he used to raise $2,167,333.00 in Private Money in only a few short months. Read more about what you will learn and all of the included bonuses. Register now and save $25 before the early bird special expires! Register now and save before the early bird special expires!